If you are looking for a peaceful and relaxing stay near chowara beach,then gods own country ayurvedic resorts is best for you. Wedged between a long stretch of a coconut grove and the crashing waves of Arabian Sea, there is no other destination than "Chowara Beach that is better to spend some quality time with your family. Chowara beach is a long whitey sand beach which is relatively very clean and less crowded than Kovalam and Varkala Beaches. The beach is ideal for water spots and sunbathing. It is the only seashore in Kerala not eroded by sea even in the monsoon. Being a long and wide beach, this place is ideal for beach paragliding. Evenings are the best time to visit the beach as you can watch the beautiful sunset. Chowara beach is open all year around. It is better to avoid on monsoon. 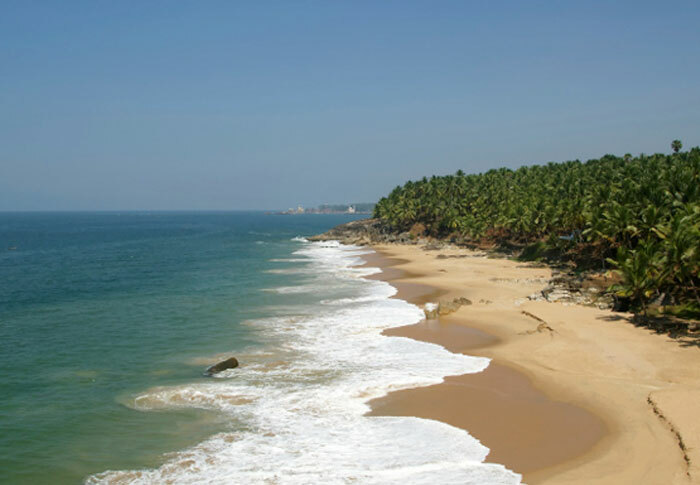 Gods Own Country Ayurvedic Resorts is the nearest from chowara beach. Situated amidst the natural beauty of palm green gardens the resort is a heaven for people seeking for a peaceful holiday. The resort provides best accomodation in Kovalam with reasonable price. So if you are searching for hotels near chowara beach then Gods Own Country Ayurvedic Resorts is best for you.